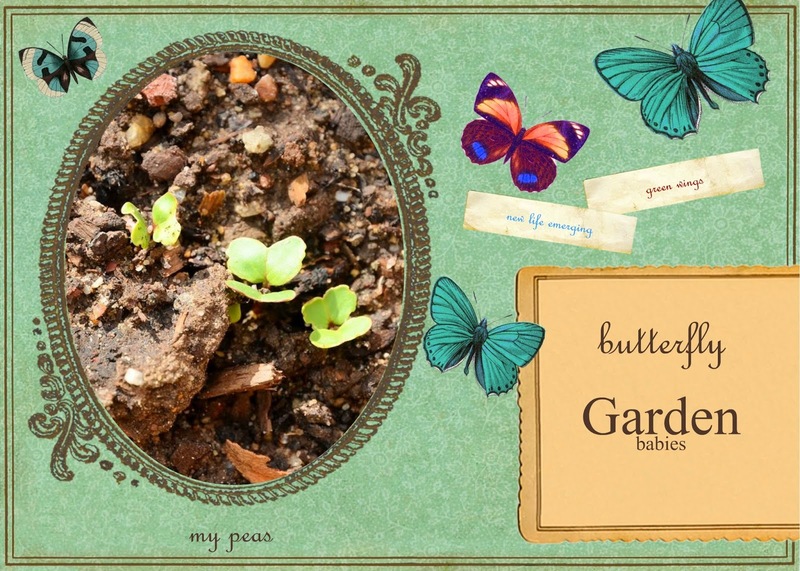 Hamby Home(in)stead ...: Garden babies! The peas I planted on 13 June have sprouted and look like tiny green butterflies! Aren't they lovely?! On very close inspection I can see a few bok choi just poking through also. How neat is that?! As far as I can see (and I peered quite intently), there's no other action yet but I'll keep looking!